We have a clean and brand new space in Bremerton, WA. 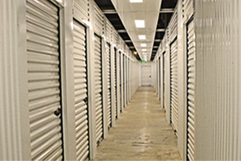 We offer standard and temperature controlled storage units that are secure and well maintained on a daily basis. The management team and staff go above and beyond to ensure that the facility is 100% safe. We’ve installed video cameras throughout the facility as well as a computerized gate. Enter your code inside of the keypad and come in anytime between 6:00 am and 9:00 pm anyday of the week. Use the dollies, handcarts, and purchase any boxes and supplies that you need. Our kiosk is available 24/7 and you have the option to pay your storage bill online. Great New facility. Tons of cameras for security. Great location. Clean, well lit. I highly recommend this place. We needed a facility to handle the overflow at home. 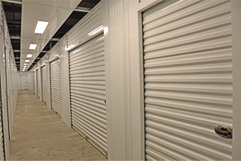 The Narrows Self Storage is extremely clean and super secure. I've had self storage needs over the years and this is the best ever. Narrows Self Storage is conveniently located off of Highway 303 in Bremerton, WA. Easily accessible to several nearby areas such as Silverdale, Seabeck, and Illahee. We’re a few minutes away from Olympic College and Naval Shipyard.